A Single Malt rich in flavour and quite rare, that deserve special attention. 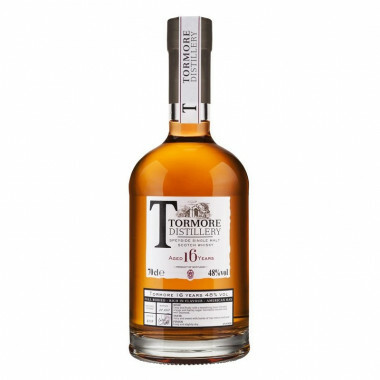 Tormore 16 Years Old is a rich Single Malt full of fruity and vanilla flavours. Produced in limited batches from a careful selection of whiskies aged in American oak barrels, it is a quite rare expression that deserve special attention. 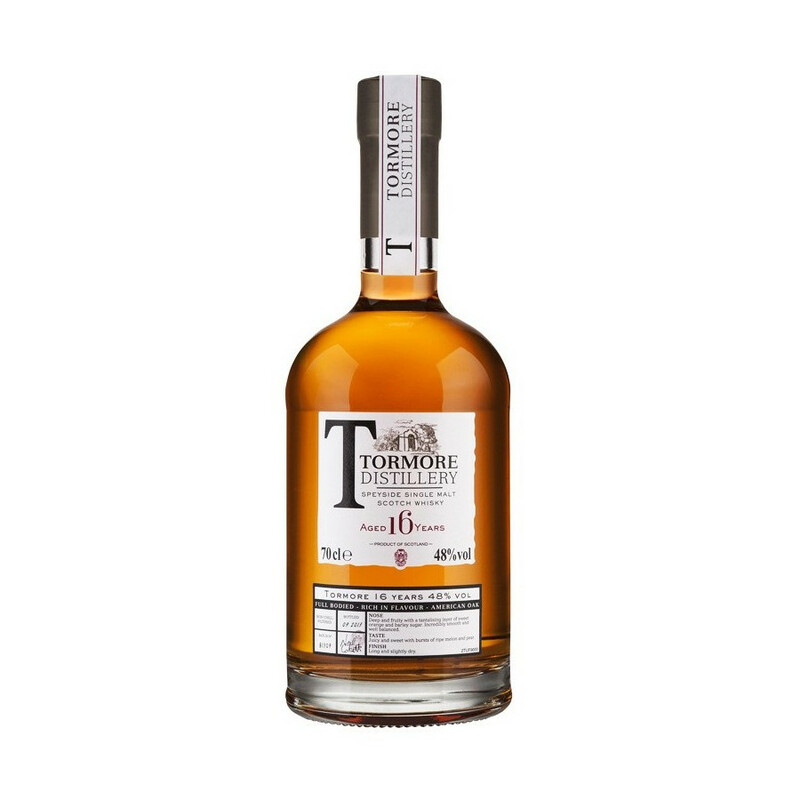 Un-chillfiltered, and full-bodied, the silky and smooth signature of Tormore comes from the extremely pure water used for distillation, and bursts with fresh fruits notes. Non filtré à froid, il possède un corps plus riche et texturé. La signature lisse et onctueuse de Tormore provient de l'eau cristalline utilisée lors de la distillation et s'accompagne de notes de fruits frais. Tormore is one of the youngest scottish distilleries. Created in 1958 by the Long John Distillers, it was the first distillery built at the 20th century. The distillery is in Grantown on Spey, north east of Scotland, it was made by the architect Sir Albert Richardson, and his buildings are now classified. In 2005, it belongs to the Chivas Brothers (Pernod Ricard) and makes noumerous blends like the Ballantine's. Colour: old gold with orange copper reflects. Nose: heady and firm. Straighforward, onto malted barley notes, heather honey, candied fruits (peach, apricot), exotic fruits (kiwi, cumbava). With a remarkable overall fullness, vanilla ice cream and coconut flavours layer the first scents with a white sprinkling. Palate: delicate and luscious, with exotic fruits (mango, passion fruits), overflowing the palate. Once over the first hit, unannounced, it shows a salty, imperious balance. Milky notes of chocolate, fresh nuts and vanilla follow up, with a fruity bitterness (peach peel) wrapping up the taste buds. Finish: long, intense.The spicy range stretches over the palate: black pepper, fresh ginger and cloves leave enough space of a few hints of fresh fruits (pinneaple, ripe apple). The nose returns appealing, candy aromas (Aix almond Calisson) and leaves an empty glass from which rise earthy notes of undergrowth (dandelion, daisy).